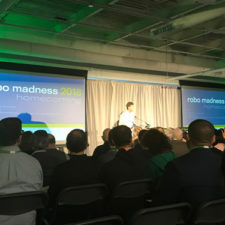 Not Your Mother’s Robot – Reflecting on Robo Madness - Hereva Consultants Inc. The conference was a fascinating opportunity to listen to experts talk about this shift in the definition of “robotics,” and learn what is in the pipeline in this exciting field. We are fortunate to have front row seats to the firms in Boston who are leading the way and pushing the boundaries of robotics. Emma Pina is project manager with in depth experience with market research and analysis, and a passion for high-tech. To read more about Emma, click here.